Royal Canin Calm Cat - 4kg is a Prescription Only Veterinary Medicine and by law requires a prescription from your vet. Small Items: such as flea treatments, worming tablets and household sprays are sent by Royal Mail First Class. Royal Mail First Class aims to deliver your goods within 1-2 working days, however, this is not guaranteed. Most small items are packaged to allow your postman to deliver your order through your letterbox. Large Items: such as dog food or orders over a certain value are sent by ParcelForce Next Day. 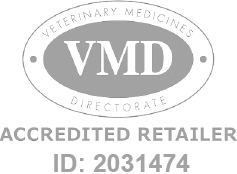 Your dedicated UK Accredited Veterinary Retailer.